Buildera CRACKMON® SCRATCHMARK™ Crack Recorder permanently records crack movement 24x7. The Buildera CRACKMON® SCRATCHMARK™ Crack-Motion Monitor continuously records differential crack movement in foundations, retaining walls, beams, joints, floors, ceilings, and other reinforced concrete structures with visible cracks. 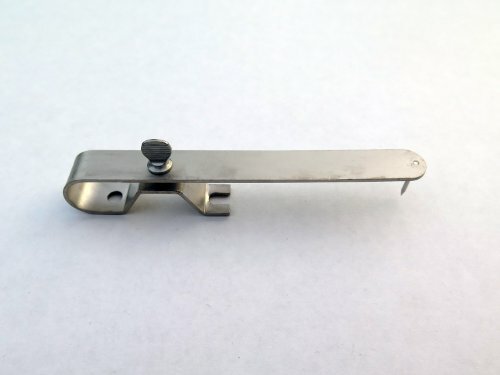 A patented spring-steel tracker arm extends over the crack, allowing crack movement in 3-axes (X, Y and Z) while recording two-dimensional (planar) crack displacement on a permanent tracking card 24x7. The patented system scratches an indelible record using low-cost SCRATCHMARK media with a durable weather-resistant coating. 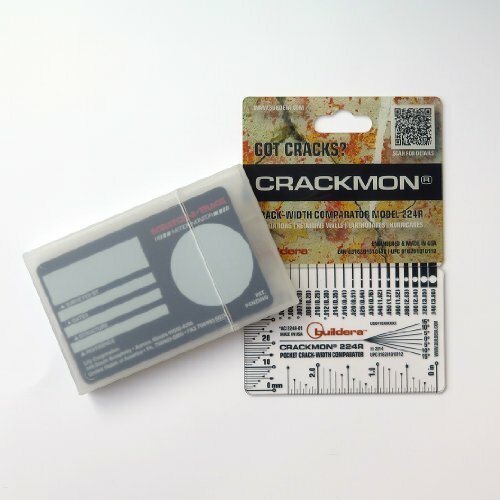 Ideal for property owners, building inspectors, structural, civil and geotechnical engineers, the CRACKMON SCRATCHMARK is an ideal companion to traditional 2D and 3D crack monitoring. Use for existing or new construction, seismic retrofits and earthquake hazard tracking. Mount using Buildera-approved adhesive, such as STRUPOXY Structural Epoxy or stainless-steel screws and concrete anchors. Individual units sealed in a heavy-duty tube. Includes installation instructions, mounting hardware, and one crack-progress card. Epoxy sold separately. Also available in bulk for resellers and volume end-users. Contact Buildera for volume/bulk pricing.